Nokia has announced its first Netbook PC (mini-laptop) called Nokia Booklet 3G. Nokia Booklet 3G will run Windows OS and will be powered by an Intel Atom processor. Some highlights of the Nokia Netbook as announced by Nokia include an impressive 12 hour battery life, 3G/HSDPA, Wi-Fi, Nokia Ovi Suite, GPS Navigation, HDMI port, and so on. Nokia Booklet 3G is not currently available in stores, but Nokia promises to release more details on September 2, 2009 at the Nokia World event. Nokia Booklet 3G is a mobile device that offers the processing capability of a PC. It can be said to be a Netbook PC and a mobile device (phone) put together. The Nokia Booklet 3G features a HD ready 10-inch display and is ultra-thin (about 2cm thick) and light weight (just 1.25kg). Nokia Booklet 3G features 3G with HSDPA for mobile connectivity and high speed internet. Netbooks are optimised for your life on the web and Wi-Fi has since become a standard feature on Netbooks, Nokia Booklet 3G features Wi-Fi. Nokia Booklet 3G will support standard 3G mobile technologies. Nokia Booklet 3G will be packed with all the technologies available in Nokia smartphones. A front mounted camera is even provided for video calling. 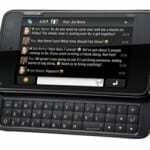 Nokia will provide more details of Nokia Booklet 3G on September 2, 2009 at the Nokia World event.